In this region of the country, winter means snow, and lots of it. 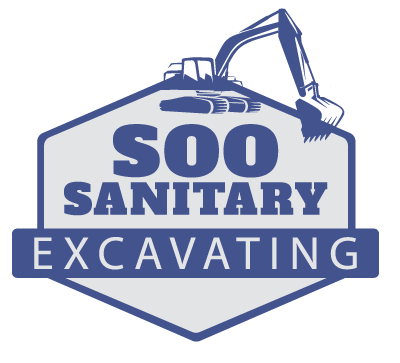 Soo Sanitary is the area’s most reliable contractor, offering snow removal in both rural and municipal areas. Our well-maintained equipment, dedicated, experienced staff, and quick response time, means winter doesn’t have to slow you down. With over 30 years in the business, we’ve got snow removal down to a science! Snow removal equipment is not a practical investment for many rural townships and municipalities. Soo Sanitation contracts snow removal services to keep traffic flowing and to ensure access for emergency responders. At Soo Sanitary, we track the weather and are prepared to dispatch our plows during all snow events. For areas where a plow isn’t possible, we have snow blowing equipment to keep roads, lots and pathways clear. We have the ability to push snow piles back in order to regain space and ensure better visibility. Clearing after a storm often leaves large snow piles along roadways (reducing visibility and making driving dangerous) or in parking lots (using up valuable parking space). When snow melts, drain systems become overwhelmed and localized flooding can occur. At Soo Sanitation, we can load up and relocate the accumulated snow for added safety and to free up space. In freezing temperatures, pavement can become slippery. Soo Sanitary is equipped to address this problem with our ice melt services. Broadcasting salt over ice causes a chemical reaction that facilitates melting. In some cases, sand and salt are required to provide better traction.